Fibroids1.com: Find a Doctor to Discuss Fibroids Treatment - Fibroids Physician Finder Online! Lauren Streicher, MD is an Associate Clinical Professor of Obstetrics and Gynecology at Northwestern University’s medical school, The Feinberg School of Medicine, and is the founder of Gynecologic Specialists of Northwestern, SC. 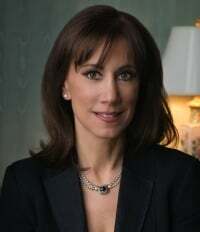 In addition to her academic and clinical responsibilities, Dr. Streicher devotes her time to providing evidence-based, up-to-date information to women through consumer publications and media appearances. She is currently appearing weekly on ABC’s Windy City Live! and is a recurrent guest on shows such as The Dr. Oz Show, The Steve Harvey Show, The Oprah Winfrey Show, The Today Show and Good Morning America-Health. Dr. Bernstein, of Professional Radiology, Inc., is an interventional radiologist serving the Jewish Hospital, the Christ Hospital, and the Fort Hamilton Hospital in Cincinnati, Ohio. He received his medical degree from the Chicago Medical School, completed his internship at the University of Illinois, Cook County Hospital, and completed a fellowship in Radiology at the Michael Reese Hospital & Medical Center in Chicago. With a deep concern for the pain and suffering of his patients, Dr. Bernstein endeavors to find new and inventive ways to improve the healthcare he provides. 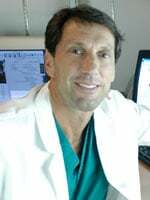 In 1997, Dr. Bernstein was the first physician in Cincinnati to perform Uterine Fibroid Emobilization (UFE). Since that time he has evaluated more than 800 women. With his energetic and compassionate approach to patient care, Dr. Bernstein brings hope to his patients.